Awesome! 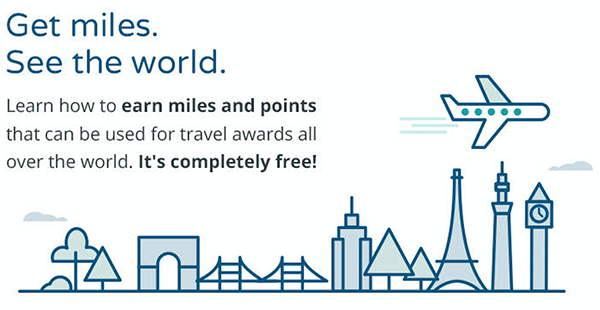 We got your signup—get ready to earn miles and see the world. Your info will never be shared. Credit Card Rules: Which Chase Cards Aren’t 5/24? Any opinions, analyses, reviews, or recommendations expressed here are those of the author’s alone, and have not been reviewed, approved, or otherwise endorsed by our partners, including American Express and Chase. A few weeks ago we talked about what it means when you hear people talking about the “Chase 5/24 Rule”. In short, the rule prohibits anyone from opening a new rewards-earning Chase credit cards if they have had more than 5 new credit cards opened from any bank in the last 24 months–but just like all rules, this one has some exceptions! While most Chase travel rewards credit card offerings fall under the 5/24 umbrella, there are a few Chase cards you can apply for that are not subject to this ruling. Sign-Up Bonus at time of publication. Up to 75,000 Avios. Get 50,000 Avios after you spend $3,000 within 3 months. Ean up to 25,000 additional Avios after meeting additional spending thresholds in the first year. 40,000 Hyatt points after you spend $2,000 on purchases in the first 3 months. Whether you’re the type who likes to apply for new several credit cards a year, or you simply like to keep a couple good cards in your wallet forever, understanding the rules that banks make for credit card applications is smart. It can help you get approved for the cards that you do apply for. If you want to apply for a card from Chase, it’s worth checking how many cards you’ve applied for in the past months. If you’ve gotten more than 5, you’ll want to wait until you’re out of the 24 month period to make the application—otherwise you’ll be adding a hard credit pull to your credit score for a card you’ll be automatically declined for. When applying for these cards, you will not be automatically declined if you’ve had more than 5 new cards in the past 24 months, but remember that you will still have to qualify to be approved for the card. And if you do get approved, this card will count as an approved card in your 5/24 tally for cards that you apply for in the future. Subscribe here to get free email updates on credit card deals. Subscribe here to get free email updates on credit card deals. Advertiser Disclosure: Cards for Travel partners with credit card issuing banks and receives compensation from these partners if your application is approved using the link provided on this site. Cards for Travel reviews do not include all card companies or credit card offers available in the market. Compensation from sponsors does not impact how or where products appear on this site. Editorial Note: The opinions and card evaluations provided on this site are original editorial content of Cards for Travel and are not endorsed by any bank including, American Express, Barclays, Chase, Citibank, Wells Fargo or any other financial institution.